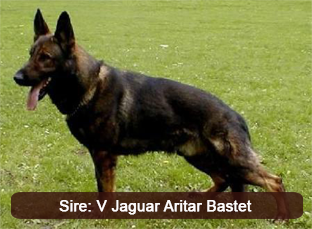 Panter Aritar Bastet is a Czech Import that would be a treasure trove for any kennel to have, because of his consistency in producing phenomenal pups regardless of the female that he’s matched with. 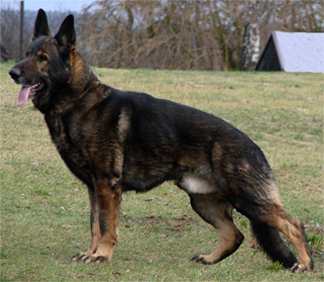 Panter is a strong male with the typical stud features and expressions that earned him “The Best Top Producer” while he was at the Jinopo kennel where he sired many excellent litters. 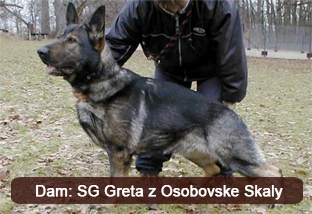 Panter’s pedigree and bloodline are testimony to the type of dog that he is; his work ethic is impeccable which makes him best suited for Law Enforcement work as well as a top competitor in the sport world. He is a dog that could have easily been ranked and considered a legend had his previous owner taken the time to title him. 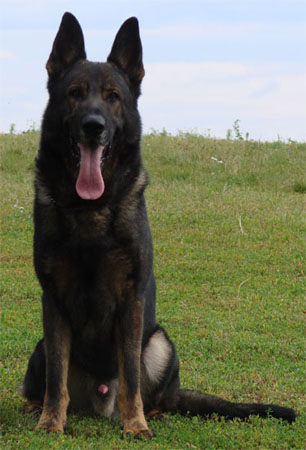 Even though Panter isn’t adorned with titles, he is well trained and his social behaviour is worthy of mention as it compliments his type and makes him a well-rounded dog that is suitable in every situations and occasion. Panter belongs to the 2nd bloodline on his sire’s side and he reigns in from the renowned working bloodline of Fero v. Zeuterner Himmelreich. From his dam's side he belongs to the 3rd bloodline over Grim z PS and Xero z PS that are both known for their hardness. Panter is a dog borne of legends in the dog world and the pups that he produces speak to his pedigree as they are consistently; strong nerved, strong boned, richly pigmented and possess working drives that are reminiscent of the patrol dogs of the “z Pohranicni Straze” era. Depending on the breeding Panter is liable to produce a versatile progeny that could range from Hard Law Enforcement Dogs to Top Competitive Sport Dogs. In either case, his offspring’s will excel and be superior to the standard requirement. CLICK HERE TO VIEW FULL PEDIGREE.